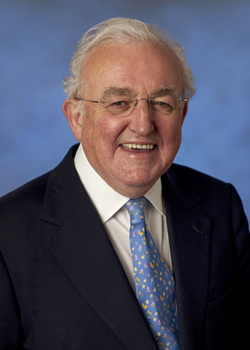 On April 10th 2015 Lord Brian Griffiths gave a lecture on Faith, Leadership and the Global Marketplace as part of the Max and Esther De Pree Presidential Lectureship. – Does faith provide a framework for working in the marketplace? – How does faith contribute to conversations about markets, inequity, and justice? – What values should be central to leadership? – Who is my neighbor in the global marketplace?